A nice, light salad that would make a great accompaniment for lamb cutlets, chicken or pork. 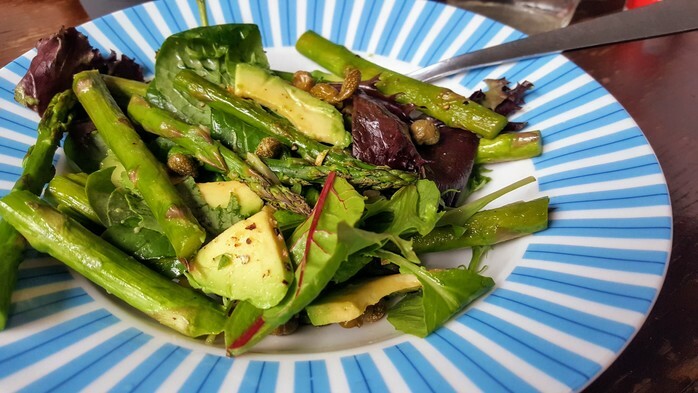 Don't forget the garlic; it turns crisp in the oven and provides a nice, small crunch alongside the creamy avocado, tart capers and delicious asparagus. Break the stalks off the end of the asparagus spears. Lay out on a baking tray. Thinly slice a garlic and scatter over the asparagus. Drizzle lightly with olive oil and season with salt and pepper. 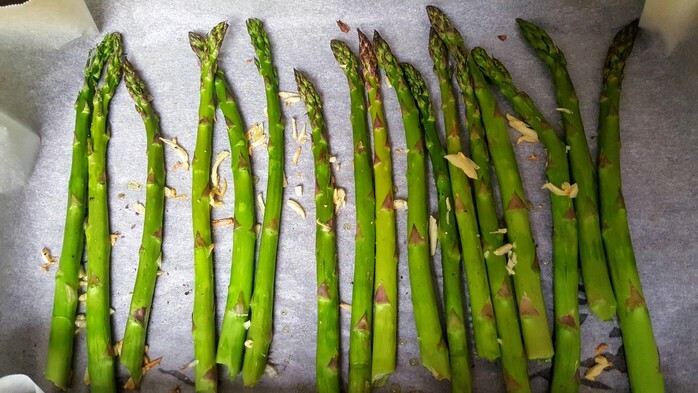 Place the tray in the oven for 10 minutes, or until the asparagus is cooked through. Place the greens on a serving platter. 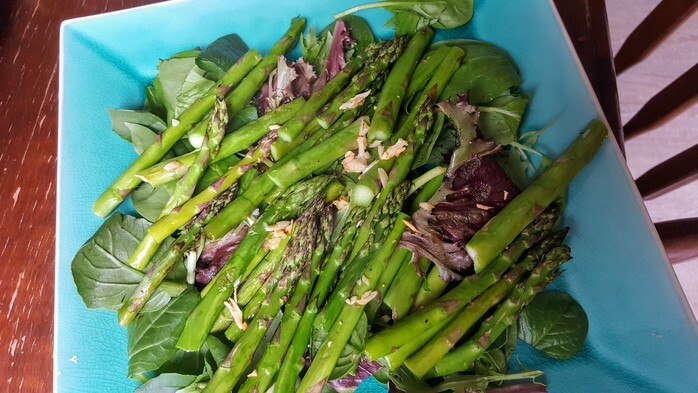 When the asparagus is cooked, cut in half and layer over the greens. Slice the avocado into 2cm-long slices and add to the platter along with the capers (and vinegar). Drizzle with olive oil and lemon juice and season with salt and pepper. Serve.